While there are a lot of cameras available today that can record 4K videos and great HD images, the Sony Nexfs700 takes this to another level. 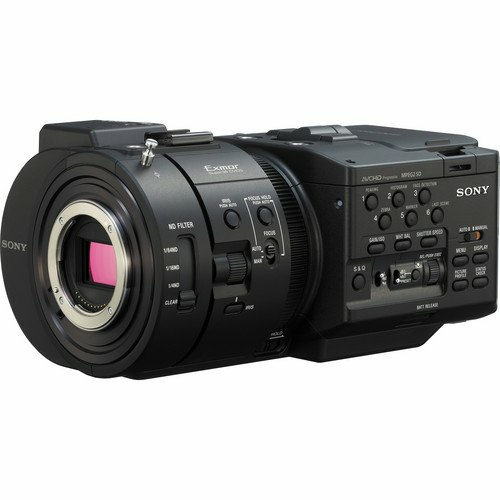 This camera takes the classic Sony Nex-Fs 100 and comes with a new design and many additional features. If you are serious about your video images, then you should take into great consideration the type of camera you use. In this article, we will go into details and describe the Sony NexFS700, the features that make it unique, and its price. In addition, we compare it with similar products available. Before buying any video camera, we recommend that you read this article to get an unbiased opinion. The Sony NexFS700 looks similar to the FS100 but with a few changes to its design, giving it an edge over most of its competitors. Its body is slightly larger than the previous model though they still have the same look and feel and they work the same way. It comes with more features that make it more efficient to use and get great images. 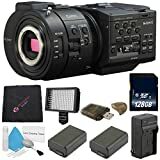 Compared to other cameras, its value is great as it comes with low light performance, the picture quality is great, and it has slow motion capture. The Sony NexFS700 comes with three Neutral Density (ND) filters which are built-in the camera and which save you from buying and mounting external filter. The handle in this camera is removable and the handgrip mounting point is adjustable and very secure. A mounted microphone can be connected easily to the XLR port close to the front of the camera. To improve the tactile feedback the button controls protrude higher than the body surface. The Sony E-mount used in the Sony NexFS700 is the same used in the FS100 but it comes with the option of attaching other lenses. It also features a 3.5-inch touchscreen that can be flipped upwards and rotated to the right or left by 90 degrees to allow you to view from either side of the camera. This camera can be purchased for around $3,000 to $4,000. at a digital store near you or you can order one online on Amazon. This camera can be bought on Amazon for approximately $3,000 to $4000. 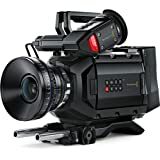 The body of the Sony NexFS700 is large compared to the FS100, and it enables you to shoot in 4K or 2K and record in the Sony AXS-R5 with a 12-bit output that is raw. It is capable of S-Log2 recording with a 4K sensor and has super slow motion recording abilities. ND filters are built in the camera and it comes with 35mm sensors that match digital cinema cameras. This camera comes with a greater resolution and uses heavy over-sampling to create images with attention to details and no aliasing along the edges. It allows you to capture 1080 p footage on the flash memory unit, SD or memory stick. 1080p video can also be captured by the HD-SDI port with 8-bit 4:2:2 color. For capture and external playback, the HD-SDI port, HDMI, composite and component ports can be used. In full HD 1080p you can capture many 240fps when you use the slow-motion mode and using the 24p as the final frame rate will make your playback move 1/10th of the normal speed. Sony Nex-Fs 700 comes with an attached viewfinder but lacks a built-in mic. It comes with an ECM-XM1 microphone instead and dual-shock absorbing microphones mount. At the right side of the camera body is the XLR port which is near the mount point, which makes connecting of an external mic easy and convenient. At the top of the camera you will find the LCD monitor and protruding slightly above the camera's body are the button controls to enable you to easily change the camera settings at your convenience and without difficulty. The Sony NexFS700 does not use the battery-plate adapter that was used in the FS100. To power the camera, it uses a flat plug. In case of power loss, the battery can last for a long time as it retains redundant power. This camera can record full HD videos, 4K and stills that are used in the motion picture industries. It has a DSLR body and can record 4K (4096 x 2160) videos at 24p (23.976) in places that large cameras cannot go. You can easily carry this camera with you as it is light and compatible with the Canon EOS lenses. It is built to shoot quality videos directly on its on-board CF memory cards. The manufacturers of this camera targeted the television, motion picture, and production industries which value high resolution. It uses the HDSLR hybrid technology, and it comes with an LCD screen and a viewfinder but you buy the lenses differently. The auto focus has a 61-Point high density with Dual DIGIC 5+ image processors. You can use the 4K video technology to compose and capture scenes. It comes with a full-frame 18.1 MP CMOS sensor with an APS-H crop. This camera can capture and output 1080p footage in interframe (IPB), intraframe (All-I) compression motion JPEGs and produce large pixel size of 4096 x 2160 to produce great quality images. To ensure that every shot you take is captured is the Dual CF slots. The quality of videos produced by this camera is great, the dynamic range is film-like, and the low-light performance is advanced. It has a color sampling of 4:2:2 which give videographers freedom to be creative. The design of this camera allows you to shoot in environments which are hostile, crowded, underwater or even in vehicles. Its ergonomic design gives the photographer a great layout of the controls for easier changes of the features. The body is made from magnesium and alloy which is dust and weather resistant hence you are free to shoot anywhere and in any weather condition. The camera is small, lightweight, and you can shoot for long periods of time without feeling pain on your shoulders. It uses a rechargeable lithium-ion LP-E4N battery which is easy to use and in case of power loss; it keeps the camera running for a long time. This compact and light camera is loved by many videographers because of the ability to support 4K 24p. It comes with UHD 60p/50p and you can shoot great quality HD images in slow motion. The LEICA DICOMAR 4K lenses have a 24mm angle wide and 20x zoom which enables you record great images in narrow and tight spaces. The camera can drive four different lenses simultaneously using the 4-drive lens system to optimize the quality of the images and the zoom power. In case your hand shakes while shooting, it can detect and correct by combining the electronic and optical image stabilization effects. You can buy this camera on Amazon for approximately around $2,500 to $2,800. It comes with three manual rings which are used to focus, zoom, and iris control. The XLR audio input comes in 2-channels which use either the Dolby Digital system (AVCHD) or the linear PCM system (MOV/MP4). It features a 3.5 inch LCD touch screen which can be pulled from the camera and turned up to 270 degrees to enable you view your work from most angles. It comes with two different formats for recording the main (UHD/FHD) and sub-recording (FHD) which can be used to preview, edit offline and enable you to transmit online. You can set the variable frame rate from 2 to 60fps in 10 steps. HD recording in high speed can achieve a super slow-motion effect at 100fps or 120fps. The MOV is easy to use and the AVCHD and MP4 are supported. The OLED display comes with a high resolution to produce great quality images with attention to details. It comes with customized buttons, 13 in number--nine of them are located on the body and the other four on the touch screen. Built on the handle of the camera is the monitor which is 3.5 inches to enable you shoot high or low angles easily. It comes with an electronic viewfinder which is great when shooting in low lighting. It has lithium ion batteries which preserve power for long periods of time. If you love traveling and shooting beautiful sceneries, then you will love the Blackmagic Design. It comes in a handheld friendly design which is smaller and much easier to carry around. Photographers can shoot for long periods of time and attain quality and detailed images with the camera's 35mm 4K global-shutter sensor. It comes in an ergonomic body design which enables you to shoot videos in different designs and remain balanced. It gives you different aesthetic options as the PL-mount is compatible with many lenses. You can buy this camera on Amazon for around $2,800 to $3,200. Because of its ergonomic shape and size, you can shoot in different environments and under different circumstances. It has a phantom-power audio, HD-SDI monitoring out, 2 LANC inputs and balanced XLR. The HD-SDI monitoring output is located at the front of the camera and the XLR DC which you can connect to the viewfinder which is optional or the on-set monitor. It has a 4K super-35mm sensor with a shooting resolution of 3840 x 2160 and 1920 x1080 and to prevent flash and motion bonding is the global shutter. The dynamic range of this camera is 12-stop and can accommodate 2160p60. It can provide a raw compressed recording and with the use of ProRes field record UHD 3840 x 2160 and 1080p videos. It comes with a shoulder mount which is optional complete with a plate with quick-release feature that is in-built. Because of this option, it can become a tripod camera--or a shoulder camera if you like. The body of the camera is made from magnesium alloy hence its lightweight and for better handling it comes with a single handle. When you are far from a power source, this battery can conserve power for a long period. If you are serious about your photography, then you should also get one of the best camcorders available in the market. The Sony NexFS700 has some of the best features available in an affordable package. Nowadays there are decent video cameras available to enthusiasts of any skill level, and many of them have impressive results even for beginners. After reviewing features and functionality of the Sony NexFS700 and conducting our own research, we give it a 4-star rating. In our opinion, Sony NexFS700 is the best all-round camera that will fit your videography needs.